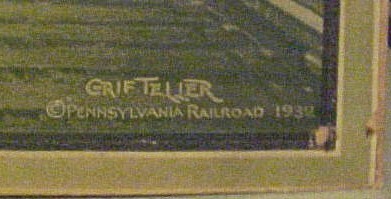 Grif Teller (American), Pennsylvania Railway poster; 17 3/4" x 24 1/2"
Signed and dated 1932 on the bottom right corner of the print. 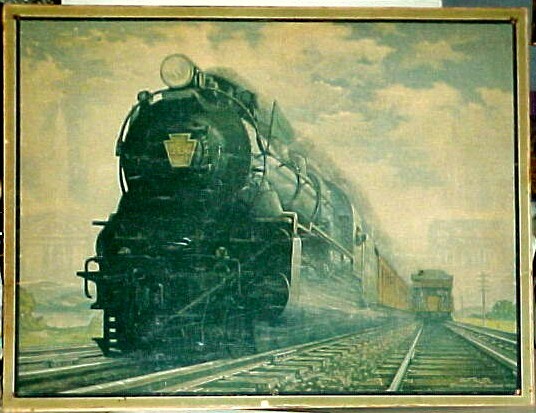 The painting shows a great Giant of a locomotive barreling straight to the onlooker at great speed! Makes one wonder what it must have felt like to be a passenger in one of the many cars carried along at that pace. The strength of the massive Engine is very evident in this painting! This print would look absolutely fabulous mounted in a frame of that Golden Era of the Iron Giants! Mounted on dark posterboard; the board looks of the same age as the print. Minor wrinkles in image and minor nibbles on border (as any unframed poster of this age would show). No sun damage, has not been near direct sunlight. Has a bit of a golden "patina"- from age and from having been in a smoker's home. Circa 1910-1930. 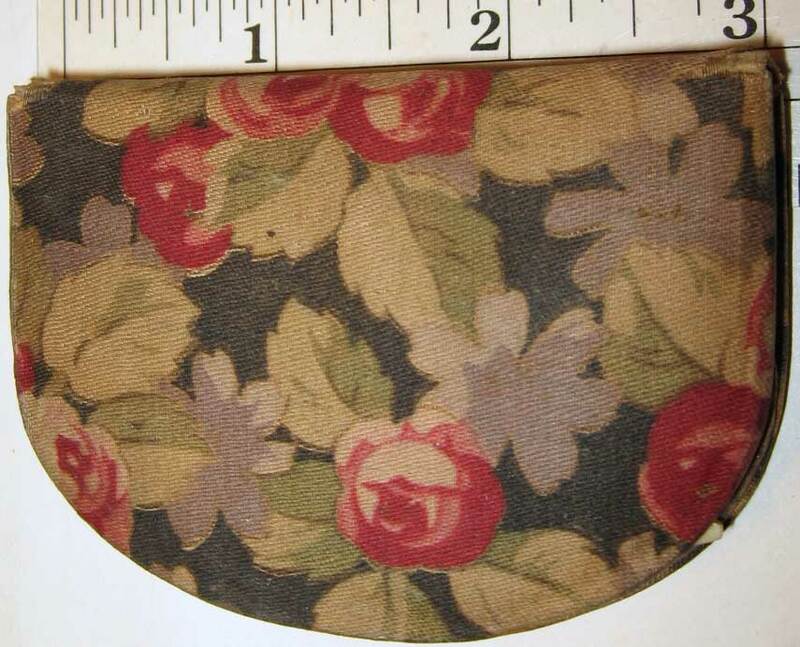 This little kit is covered with a Cabbage Rose patterned Chintz. No need to carry a big handbag with this sweet item! 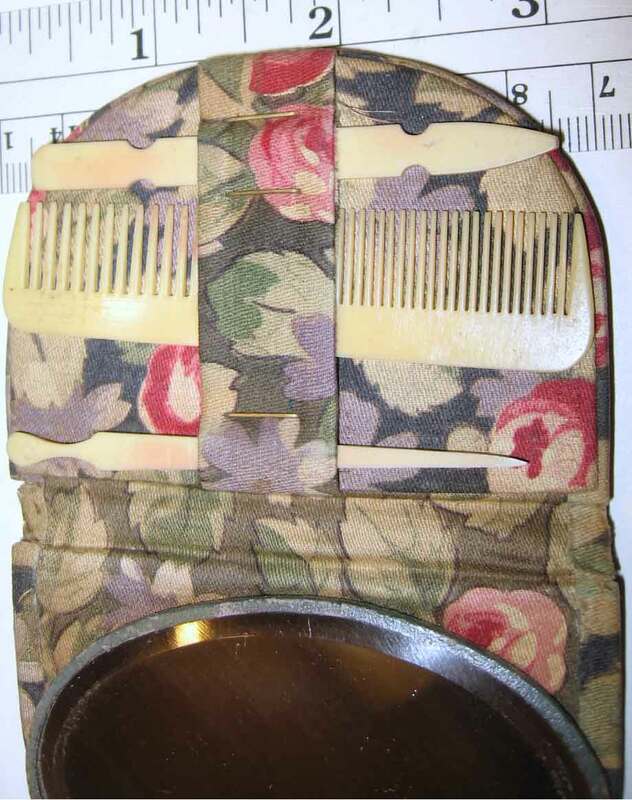 The items inside are all celluloid: Fine comb, Cuticle pusher & Fingernail Cleaner. 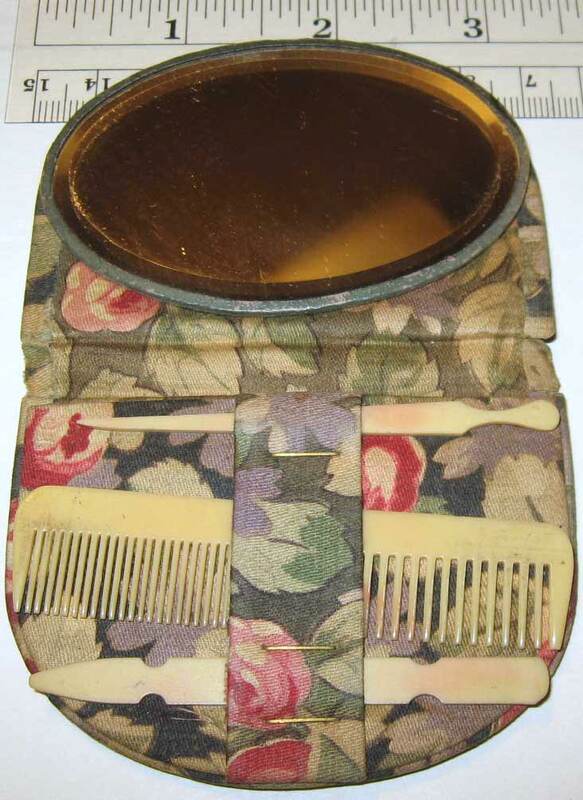 The mirror is beveled and in fine condition, as are all the other items in the kit. The fabric is worn at the corners, but not as worn as it should be for its age! 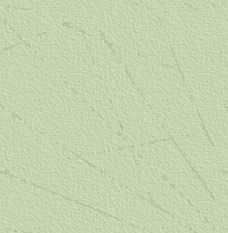 The fabric is quite soft, smooth to the touch, and has a polished surface. The celluloid items are smooth and free of any celluloid disease, dirt, or crazing. Create Beautiful Button Cards & Picture Frames! Quickly design, layout and cut any style of mat. Because the 4501 is open-ended, it will cut any size mat with border widths up to 6”. This professional quality mat cutter cuts a true 45 degree bevel, allows for fine border width adjustments and cuts perfect, crisp 90 degree corners with no over cuts. Anyone can cut single, double and triple mats, inlays, complex corners, narrow borders, mosaic corners, multiple openings and more. Use right or left-handed. Comes complete with 8” x 32” base unit, Model 45 Mat Cutter, cutting surface, instructions and 5 blades. Bought in 2004 ~ Never Opened the Box! I am proof that anyone can use this with Exceptionally Beautiful Results, as I tried out the sample unit before I bought this one! Had never cut a mat before, and the results were totally professional looking! And, it is Loads of Fun & Super Easy to Use! If you wish to make a purchase, please send me an email telling me which item you lust after. Shipping costs will be added to the total price - I will give you the shipping price in a return email. Insurance is Extra, and I can let you know how much for that, also, in a return email, if you tell me that you wish to add insurance. Insurance is recommended for items over $50.00, but this is your choice. I accept Bank or Postal Money Orders, or PayPal (no PayPal checks). Your item will be sent within 2-3 Business Days after the payment has been received. All items are sold on an "as is" basis - no money back guarantee. Descriptions of each item are as detailed, and honest, as possible. I try to take accurate photos of each item to help you see its condition. If you have any questions about an item, please send me an email prior to making a purchase. I will do my best to answer your concerns honestly and promptly.